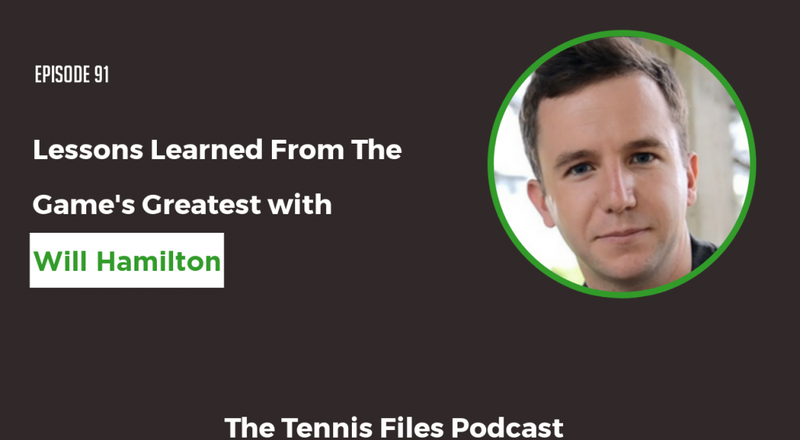 On Episode 91 of The Tennis Files Podcast, I spoke with Will Hamilton from Fuzzy Yellow Balls about the top lessons he's learned from working with the greatest tennis players and coaches on the planet. I previously interviewed Will on my tennis summit and decided to bring our conversation to the podcast so that you could discover these game-changing secrets from the legends of tennis to help accelerate your tennis progress. Will co-founded Fuzzy Yellow Balls, one of the biggest and most well-known online tennis instructional websites on the planet. Will has partnered with many of the game's best players and coaches to produce instructional courses, including Patrick Rafter, Bob and Mike Bryan, Gigi Fernandez, Craig O'Shannessy, Dr. Mark Kovacs, and Feisal Hassan. I also consider Will a good friend of mine. I've been very fortunate to practice and hang out with Will many times (including the day before this episode was published) over the past couple of years. He is a great dude and you should definitely check out all the awesome content he and his team create over at Fuzzy Yellow Balls. I really hope you enjoy my interview with Will! Let us know what you think about this episode in the comments below!